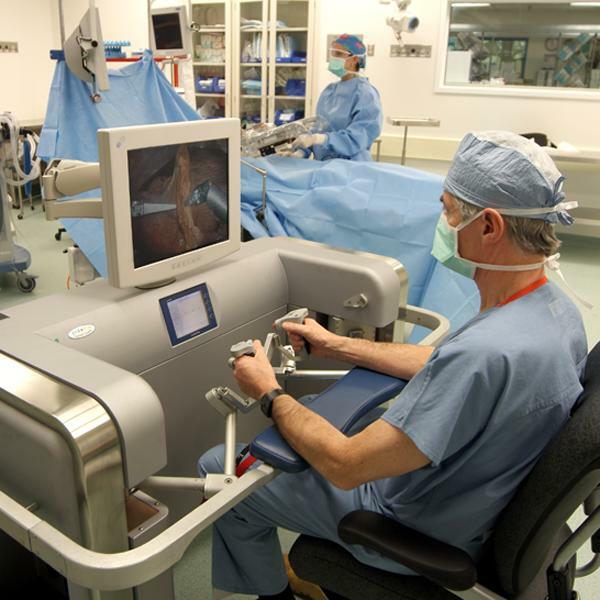 The idea that video game playing improves laparoscopic skills is appealing. A small US study suggests that surgeons who played video games have better keyhole surgery skills than those that did not. The study was performed by US scientists at Beth Israel Medical Centre in New York and is published in the Archives of Surgery. The researchers did the study because although anecdotal observations suggest that young surgeons who played video games were better at performing laparoscopies (keyhole surgery) than those who do not, this had not been empirically investigated. Laparoscopy is a type of surgery where the surgeon has to handle small instruments and go into the patient's body via a small hole or incision, hence the term "keyhole surgery". The surgeon does the operation using a television screen to see where to move the instruments; he or she cannot look straight at the place they are operating on because it is inside the body and the keyhole is too small. The researchers found a strong link between ability to play video games and performing well in keyhole surgery. The researchers studied 33 surgeons based at New York's Beth Israel Medical Centre. The participants had to play three different video games for up to 25 minutes to assess their current skill, and also answer questions on their past experience of playing video games. Their surgical skills were measured during a course that took one and a half day to complete. On the course the participants carried out a range of simulated laparoscopic and suturing procedures where their completion time and error rates were measured. The researchers also took note of the participants' level of surgical training, number of cases of laparoscopy performed, and the years they had been in medical practice. They then ran a cross-sectional analysis to compare participants' laparoscopic and suturing skills against video game experience and video game scores. The results showed that 9 young surgeons who had played video games for at least 3 hours a week made 37 per cent fewer mistakes and worked 27 per cent faster than 15 surgeons who had never played video games. The 9 surgeons with past experience of video game playing also scored 42 per cent higher overall on the range of surgical skill tests. Also, the correlation between video gaming skill and surgical skill as measured by the simulation, was stronger than either the surgeon's training or experience measured in duration. The researchers concluded that video games could help train surgeons who perform keyhole surgery. In an invited critique that accompanies the same issue of the journal, Doctor Myriam Curet re-iterates the warning that the researchers made in their article ""indiscriminate video game play is not a panacea," and invites the media not to distort the message in this study. She said parents still need to keep a check on their children's video gaming hours and the types of games they are playing. And looking at the robustness of the article, she points out that it has limitations such as the small sample size. She also draws attention to the jump from the results to the conclusion. The results showed that it was past experience of video gaming that correlated to present level of surgical skill. Perhaps the most useful contribution that this study makes is that it has opened a door that invites further investigation. "The Impact of Video Games on Training Surgeons in the 21st Century. "James C. Rosser Jr; Paul J. Lynch; Laurie Cuddihy; Douglas A. Gentile; Jonathan Klonsky; Ronald MerrellArch Surg. 2007;142:181-186.